Enter in your Wyless Provider information (this can be found in your initial welcome packet). If you utilize a proxy server input that information in the next field. 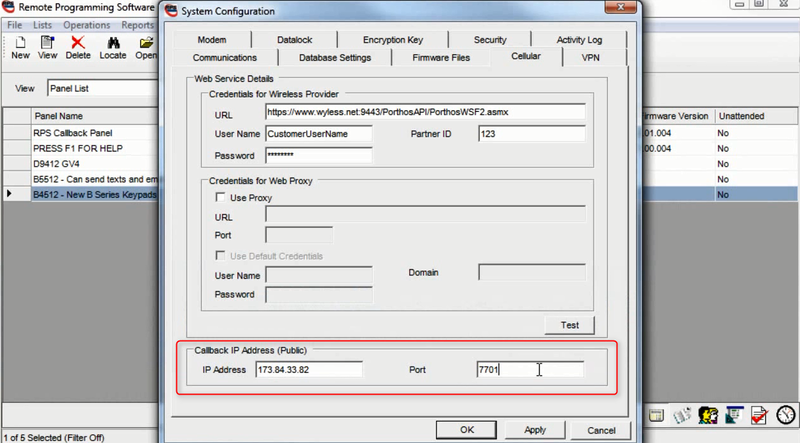 Enter in your Public IP Address of your RPS Network and enter a network communications Port. RPS will callback to this Port. (This Port is unique to this workstation and if you have multiple workstations a unique Port will have to be configured on each. 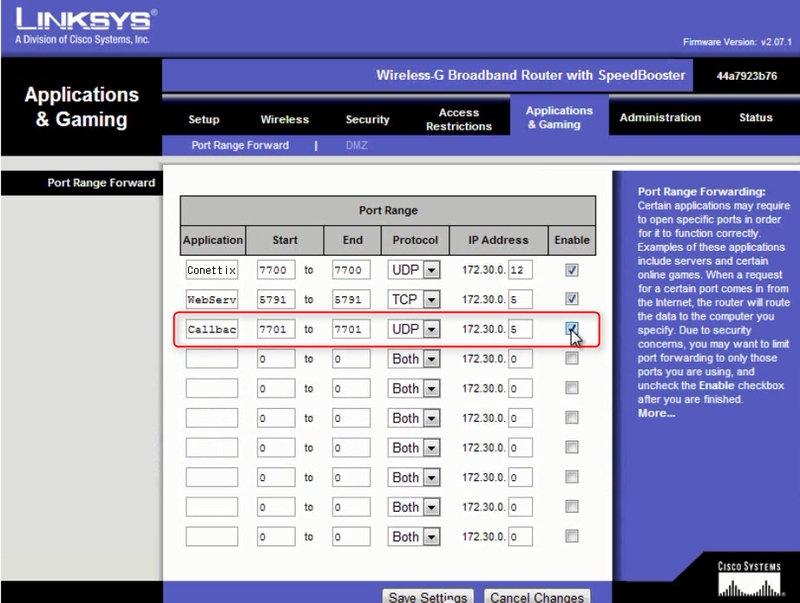 Browse to the port forwarding page of your RPS Gateway Router, enter in the application name for the new port forward rule. 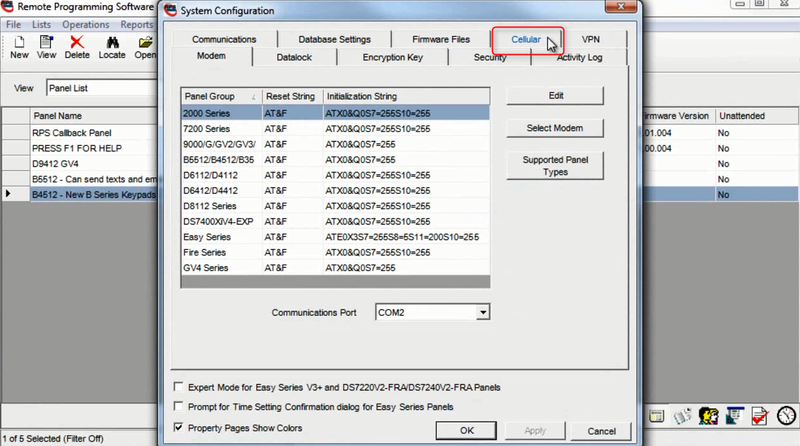 Enter in the port number you selected for the RPS settings then select UDP for the protocol. Lastly, enter in the Private IP address and click the enable box and click Save Settings to save the rule. Click the Cellular Then Click the Edit button. 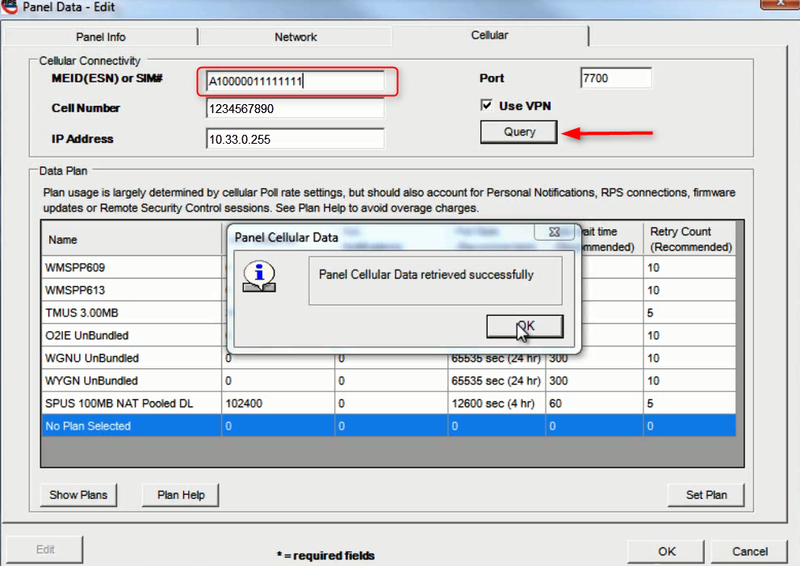 Enter in the Meid/Sim Number for the Panel’s Cellular Module you wish to access, then click Query and save this Data. 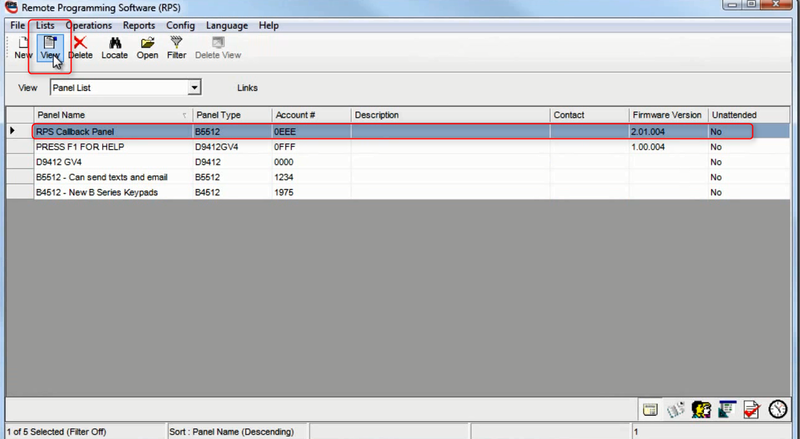 Close out the boxes and double click the panel you just configured then click Connect. 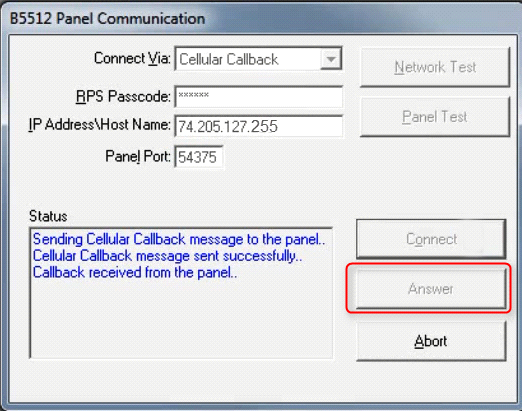 Select Cellular CallBack from the drop down menu. 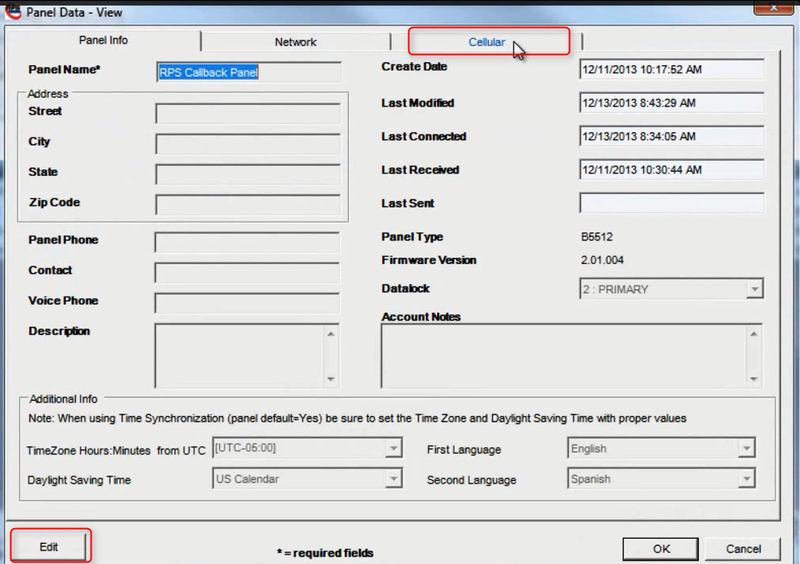 Make sure your IP and Port numbers are entered correctly then click The connection may take 10-15 seconds to establish. 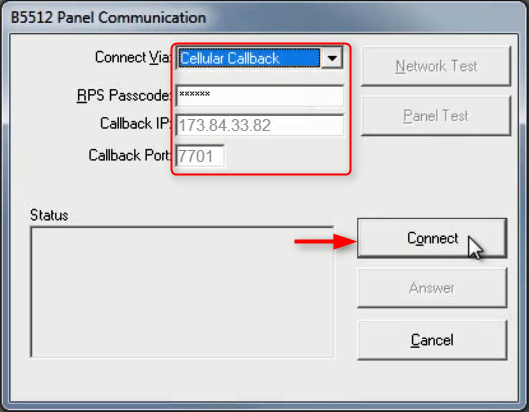 Click Answer when the Panel makes the call back to your RPS workstation.